Today, I will introduce one of Best Vietnamese Food to you. It is Jackfruit Dumplings (Banh Bao Mit). 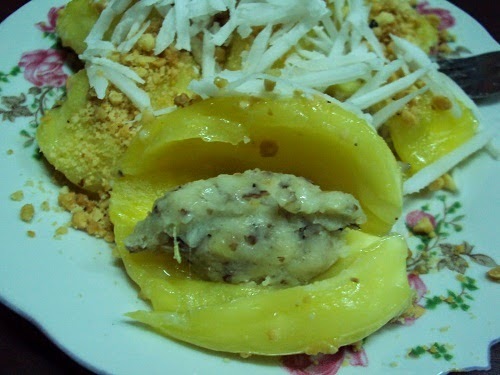 This food may be weird to most of Vietnamese people, but I have to say it is really tasty. 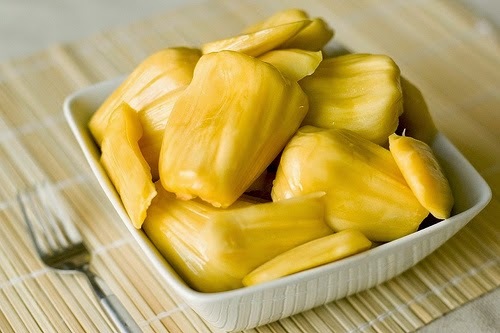 In the past to now, jackfruit is well known a fruit that is very delicious, sweet and good smell for eating. Jackfruit can be made by many delicious meals like jackfruit salad, jackfruit wine or jackfruit dumplings. Jackfruit Dumplings (Boiled Jackfruit) is a type of dumplings that are made totally by jackfruits. To do this Best Vietnamese Food, you need a lot of time to prepare and do. In the preparation process, you should choose the wet jackfruits due to it is softer than others and can contain many flesh inside and quickly boiled. 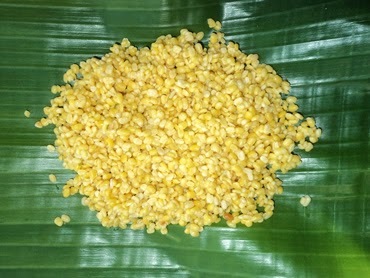 The stuffing of the jackfruit can be fish, pork or beef which depends on the taste of dinners. The popular way is mixing the fish and the pork together and then you can put the ingredients like fish sauce, onions, pepper and glutamate. After mixing the flesh, you need to make it as the circle and add them into the jackfruits. If you are the vegetarian eating, you can add the green bean, vegetables inside instead of the meat. To do the Jackfruit Dumplings for vegetarian, you need to collect the seeds of the jackfruits and then boiled them before pounding them. Next, you mix the seeds which are pounded with the green bean. To make this Best Vietnamese Food more flavors, you can add the coconuts water and salt. After the mix is cool, you can make them round and put them inside the jackfruits. Finally, boiling the jackfruits in the pot nearly 30 minutes and wait until having a good smell flying out. Jackfruit Dumplings are called as a Best Vietnamese Food due to you can change the stuffing, but the flavor is not different totally. It still maintains the unique flavor of jackfruits. Hope you like it and See you next time.